These Limeapple leggings are extremely comfortable and perfect for any occasion. 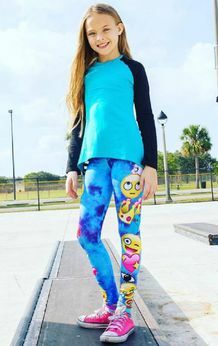 Wear these emoji printed leggings to school, dance, around the house or even to a birthday party! Dress the leggings up with a fancy top, or dress them down with a casual jacket for a sporty look. These leggings also have a hidden pocket for small essentials.